The all new E-Tab IVORY is the company's first dual-SIM (GSM+GSM) tablet based on Android 4.1 Jelly Bean and comes with voice-calling support as well. It features a 7-inch display with 1024x600 pixels resolution and is powered by a 1.2GHz dual core MediaTek processor along with Power VRSGX531 Ultra GPU. It comes with 1GB of RAM and includes 4GB of inbuilt storage which is further expandable up to 32GB with the help of microSD card.? Lava International Limited has announced the launch of its E-Tab IVORY tablet as a successor to its 'Connect' range of calling tablets. 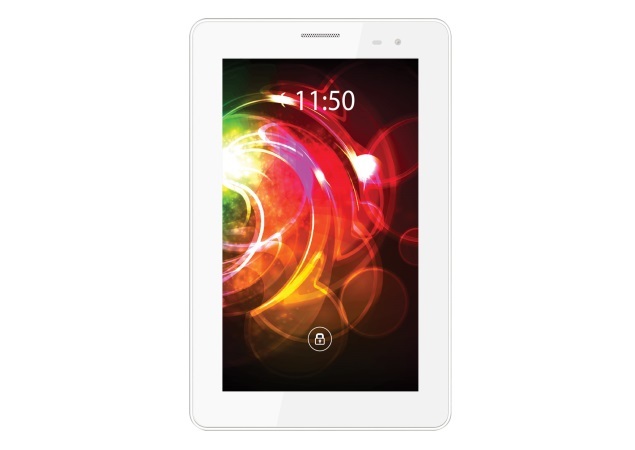 The company sais that Lava E-Tab Ivory is a feature-packed dual-sim 3G enabled android tablet offering gaming and media consumption experience with high quality HD screen. The all new E-Tab IVORY is the company's first dual-SIM (GSM+GSM) tablet based on Android 4.1 Jelly Bean and comes with voice-calling support as well. It features a 7-inch display with 1024x600 pixels resolution and is powered by a 1.2GHz dual core MediaTek processor along with Power VRSGX531 Ultra GPU. It comes with 1GB of RAM and includes 4GB of inbuilt storage which is further expandable up to 32GB with the help of microSD card. The device has dual cameras a 5-megapixel rear camera and a front-facing 0.3-megapixel camera. The tablet also comes with preloaded games like Total Recall HD and NFS HD while bundled apps on the tablet include OLX, PayTm, Twitter, Facebook and WhatApp. S N Rai co-founder and director, Lava International said, "E-tab Ivory is the latest proof of Lava's innovation excellence, based on the MediaTek's technology. This product includes a great touchscreen, configurability, improved user interface and multimedia capabilities that our customers will be delighted with."